Why Your Kids Should Try Rock Climbing in Sacramento This Summer! For good reason, rock climbing walls are popping up all over the place! A whole body form of exercise, this sport challenges your physical body, helps with cognitive learning, and overall is one of the best ways to get in shape. While rock climbing may appear seemingly improbable even for a fit adult, it’s not only doable, but kids are getting in on the fun as well! With the boundless energy kids have––especially when school is out and summer is in session––try to gather some fun, energy-expending activity ideas. Rock climbing is a fantastic way for kids to stay active, face fears, and build self-confidence. 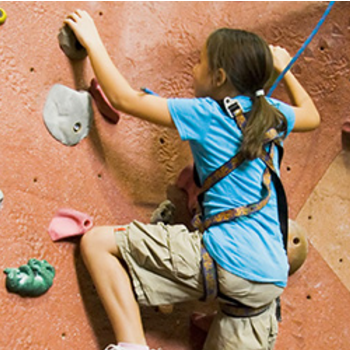 Mom Junction lists several other ways your child can benefit from climbing. While most people think it’s primarily upper body centered, it actually requires quite a bit of leg strength and flexibility, and a ton of agility. There are typically different levels of climbing, where some walls are higher than others. Other times, you follow certain colored-coded rocks for different climbing levels. So even within one wall, people at different levels of climbing can climb together. The entire process is also challenging from a mental perspective, in that as you go up, you plan and plot your next step up. It’s like a video game on a wall! Indoor rock climbing is also a great alternative in the summer when those super hot or overly smoggy days roll in. 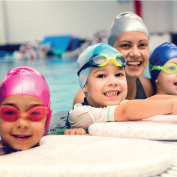 Consider all objectives when planning out your kids’ summer activity plans. Keeping kids healthy by bringing them inside for an activity on these ill-weather days to spare the air, can help everyone stay healthy from the inside-out! Thankfully, California Family Fitness indoor climbing walls are good to climb any day of the week! Plus, Kidz Klub employees are always on hand to make sure everyone has a fun, safe time! Give your kids opportunities to learn new physical and mental challenges and watch them grow into healthy, strong, go-getting adults!